The Art Square quilt block is a great starter for the beginner quilter. It can be made as a larger block to get the idea of how patches go together. For quilters who want more of a challenge, you could make the same block but in a smaller scale. This will really enhance the precision of your piecing skills. 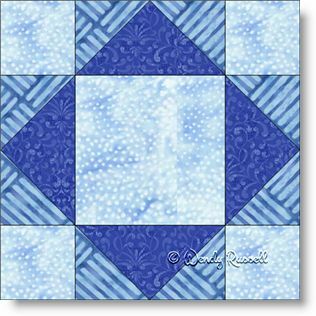 The Art Square quilt block contains simple patches -- only the square and half square triangles to create those flying geese units, which are so common to many quilts.